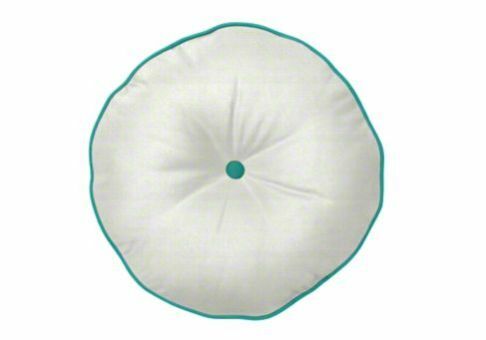 Our Custom Round Wedding Pillow is a unique and modern beauty that will look great in a wedding lounge area or reception. 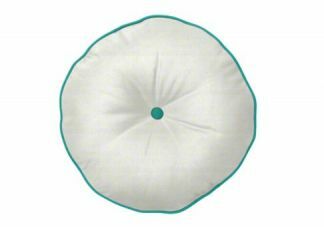 Our customized wedding pillows allow you to choose fabric, piping, fill, and size to help create the wedding you always dreamed of. 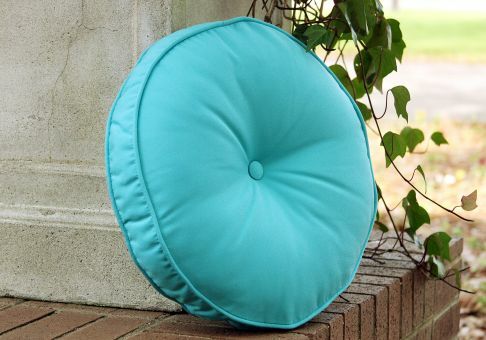 This pillow has three size options, and the button and piping fabric can be a different from your main fabric. 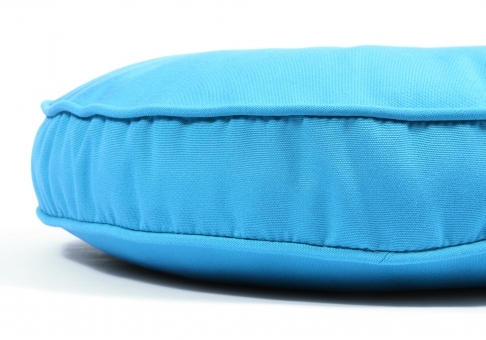 This pillow is 2 inches thick from seam to seam with an approximate overall thickness of 4 inches after stuffing and has the option of a poly bun or a feather/down fill. We offer a wide variety of indoor and outdoor wedding fabrics. If you don't find exactly what you want, we gladly accept your own material (COM). Whether you are planning a beach wedding or church wedding, let us help make many beautiful memories that will last a lifetime with our custom wedding pillows!